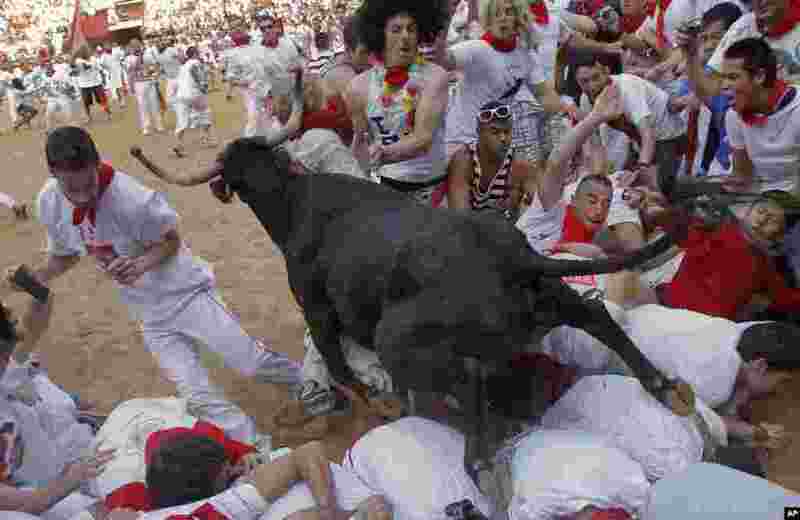 1 Revelers are trampled by a Torrestrella ranch bull at the bull ring at the end of fifth running of the bulls, at the San Fermin fiestas, in Pamplona northern Spain. 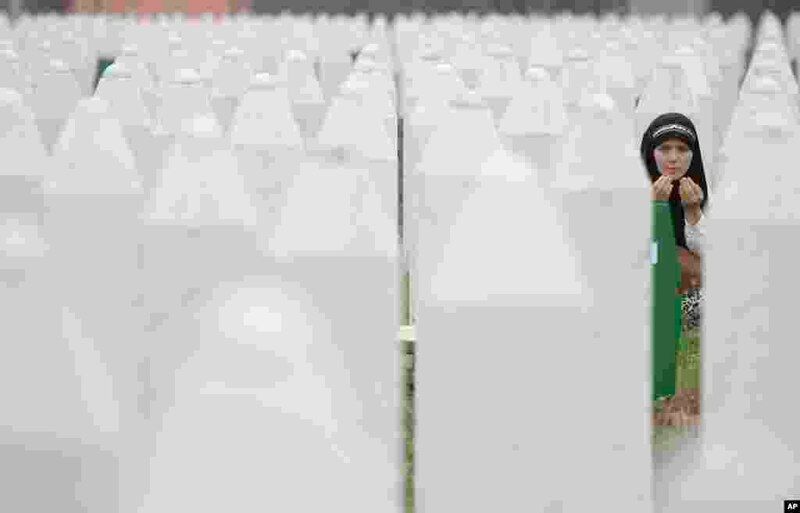 2 Bosnian woman Merima Nukic prays at the grave of her father during a funeral ceremony at the memorial center in Potocari, near Srebrenica, 160 kms east of Sarajevo, Bosnia. 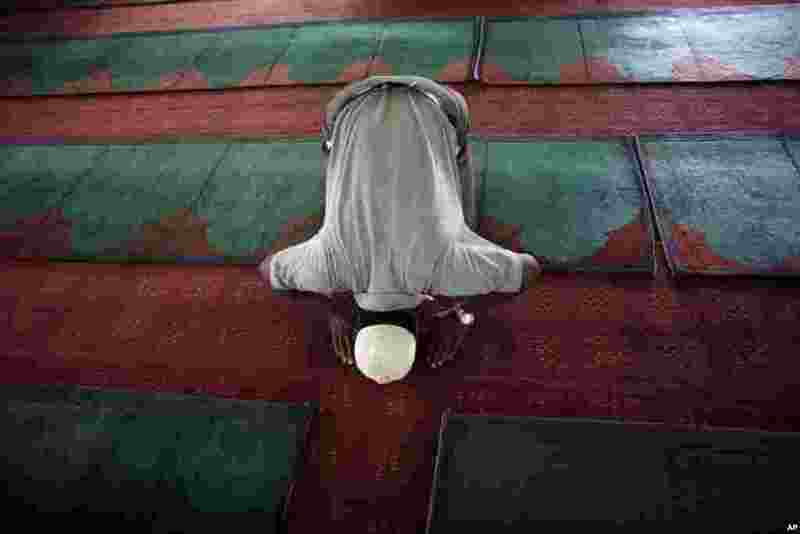 3 A Nepalese Muslim offers prayers at a mosque in Katmandu, Nepal. 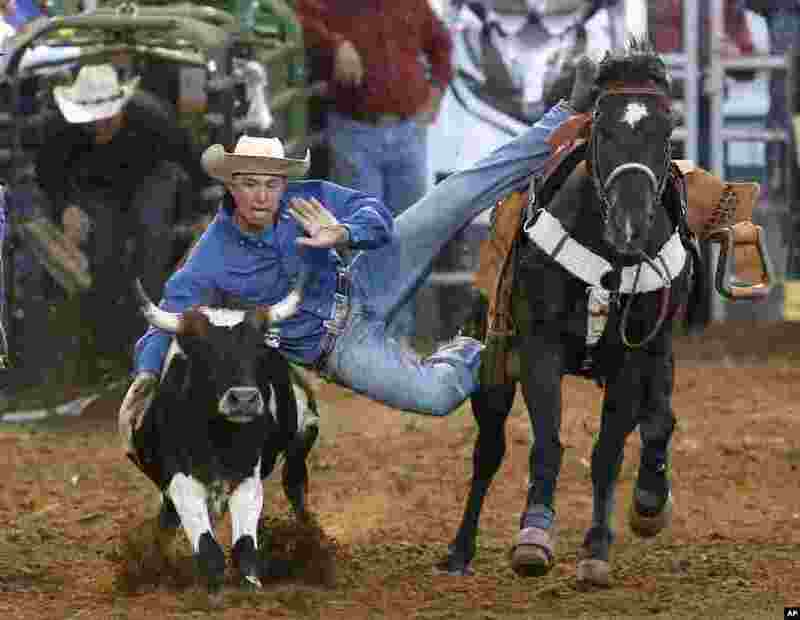 4 David Crawford, of Kiowa, Colo., jumps off his horse to capture a steer in the steer wrestling competition in the International Finals Youth Rodeo in Shawnee, Okla., July 10, 2013.